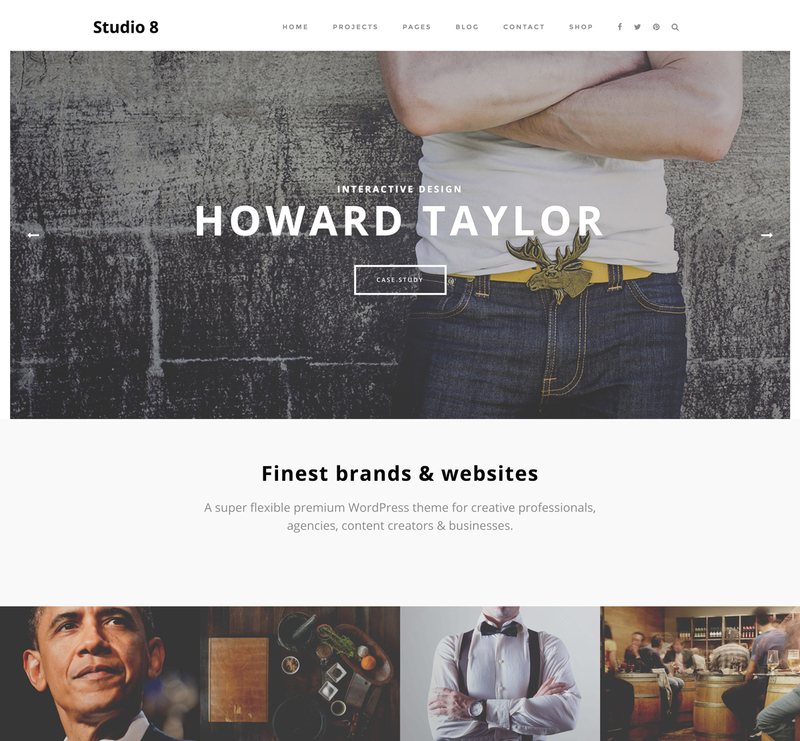 Studio 8 is a flexible and elegantly designed Premium WordPress Theme oriented to Agencies, Web Designers, Photographers, Creative Professionals, Architects and Filmmakers that will surely impress potential clients and will create a strong first impression. The theme helps you to Introduce your agency to visitors in a professional way, to Showcase your awesome projects, to Display different types of content and to Create an online shop. Build your Agency dream website with Studio 8! Studio 8 will help you to create an attractive and eye-catching website that will give you the edge over your competition. 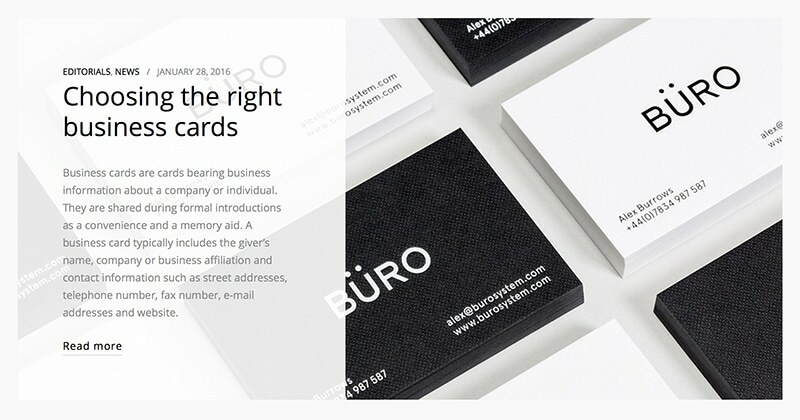 Your visitors will immediately notice the unmatched professional design that defines your brand. Studio 8 is 100% responsive and compatible with all devices and browsers. You can showcase your projects in a visually stunning way, create and organize your online shop thanks to WooCommerce integration and keep your visitors updated on the latest news through your blog. Setting up and customizing Studio 8 is a breeze and it will just take you a few minutes. Express your ideas to the whole world using Studio 8 today! Showcasing your projects in an organized and eye-catching manner is vital if you want to impress and convince your clientele. With this theme, you can showcase your past and present projects to spread awareness in a user-friendly manner. You have the freedom of displaying your projects in 2, 3 or 4 columns or on a single page. 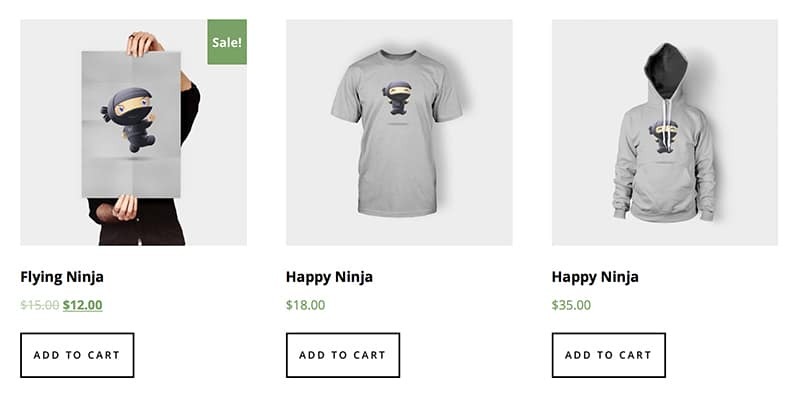 Studio 8 is WooCommerce Ready to help you turn your website into an online shop and manage sales. By creating a professional and elegant e-store, you can sell any kind of physical or digital products. Being the most popular eCommerce platform in the world, WooCommerce makes it easy for you to handle tasks such as inventory, shipping and payments. The platform also gives you comprehensive reports on customers and products. A blog is the best way to share your ideas with the world. Studio 8 WordPress Theme allows you to share any kind of info you want through a dedicated blog. Choose from 3 ways of publishing your articles (2, 3 columns and Archives) and your awesome blog posts will engage your readers. 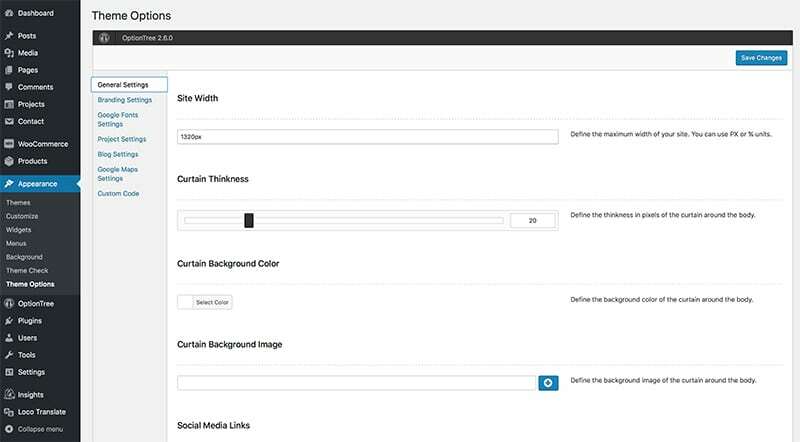 Studio 8 is endlessly customizable complete with Advanced Theme Options that offer you great personalizing possibilities. This means that you can set up your agency website the way you want. You will come across multiple features that are sure to give your website a fresh look. Speed up the process of adding different “Blocks” of content by using the “/” (slash) command feature. Love this unique theme! The Studio8 WordPress Theme is Super easy to use, nice modern design elements, and overall just a really solid Template for any Web Agency! I recommend it! I’m an event professional by trade – so creating a microsite to showcase all of our partners wasn’t really in my wheelhouse (until now!). Victor helped bring my idea to life by listening to exactly what I needed and helped design the perfect site for me to manage. Also he’s been readily available and eager to help with all questions I’ve had over the past year. He is so wonderful to work with! A true professional.